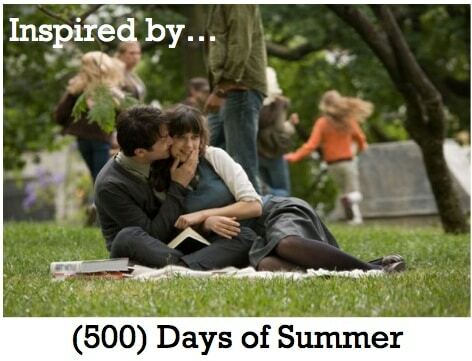 (500) Days of Summer is a great love story with a twist. 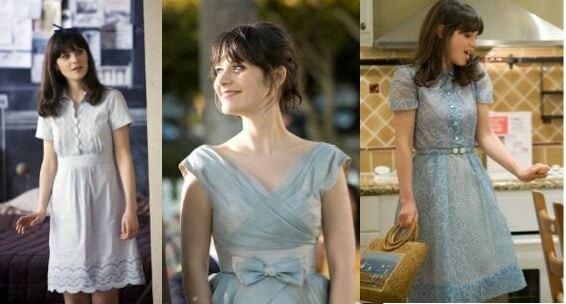 Our muse for fashion inspiration is Summer Finn (played by Zooey Deschanel). Men flock to Summer, whose mysterious ways and apathy towards relationships and love takes viewers (and her suitors) on an offbeat ride. The best part about Summer is that her style is very relatable and down-to-earth. With so many cute outfits in this movie, I have decided to focus on two major fashion motifs in this film: the little blue dress and vintage-inspired separates. I love the motif of the little blue dress in this movie because it is totally a reflection of Summer’s eccentric character. The little blue dress is a great alternative to the classic black version, and if you’re really keen on Summer’s interpretation, I would recommend vintage-inspired versions that feature feminine details, such as lace, bows, or a whimsical print. Separates are always great for college students because mixing and matching is key to getting the most bank for your buck. I am especially biased towards the high waisted navy blue shorts because earlier in the semester I bought a pair from a local Savers for $3! Thrift stores can be a great place to find vintage pieces and if you’re feeling a little lost, be sure to check out Michelle‘s regular posts on vintage-inspired items! For my inspirational outfits I really had a lot of fun playing online dress up! I hope you like my picks and can see the versatility in these items! Are you a fan of Summer’s style? Would you try a little blue dress? How about vintage-inspired separates? How do you mix-and-match vintage pieces? Also, where do you find your vintage pieces?! Leave us a comment! We’d love to hear from you!